What a gorgeous invitation! So looking forward to visiting Anna and the team at the Black & Spiro Christmas Flea tomorrow and seeing the Christmas window as it is always beautiful. If you’re in Brisbane, you are in luck to share in the excitement! On other promotions, checkout this beautiful personalised baubles online. We have a wonderful round-up of beautiful things including lots of hand-made items by some very talented Brisbane girls and also my Harry has made some fabulous painted rock ornaments. We have some vintage pieces, Christmas baked goods and not to mention a few very special bargains including some of our remnant fabrics which always seem to get snapped up very quickly!! 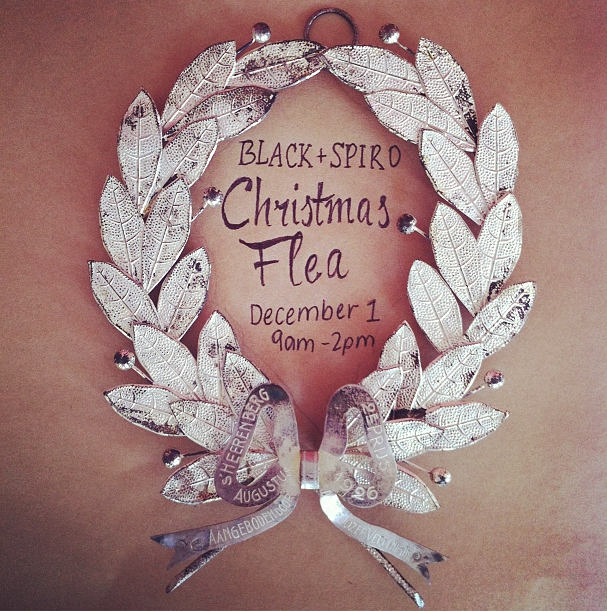 Black & Spiro Christmas Flea on Saturday 1st December at the store, Brunswick St, New Farm.